Baby Girl Romper - Ruffle Romper - Toddler Girl Romper - Nautical Baby Outfit - Sailor Baby Outfit - Sale! I am currently in the process of moving and will not be accepting made-to-order or custom orders until May 1st, 2019. Thank you for your understanding. Free Shipping on U.S. orders $65+! 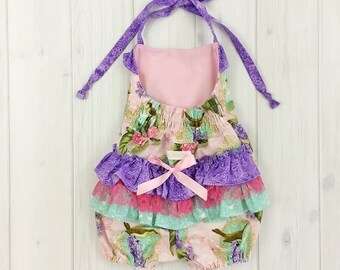 Baby Romper - Ruffled Romper - Baby Girl Romper - Toddler Girl Romper - Pretty As a Peacock Romper - Sale! 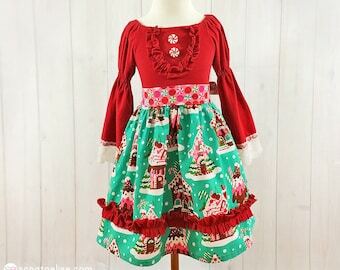 This was an adorable little Christmas dress for my niece to enjoy at her preschool Christmas party! Fascinator was beautifully made and I receive a ton of compliments when I wear it. 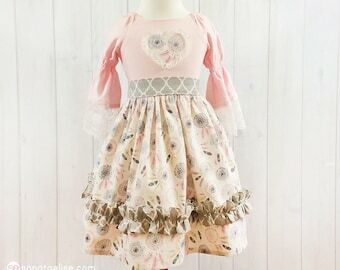 It’s not too late to place your easter dress order! 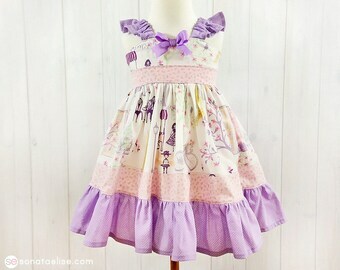 I have dresses that are ready to ship just like this one! All ready to ship dresses will be marked “READY TO SHIP” in the listing title. Planning on taking Christmas photos this year? 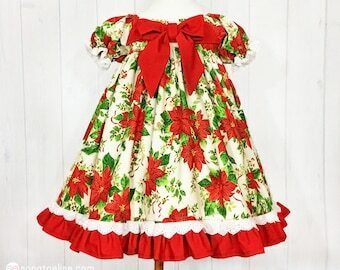 This festive frock is perfect for the occasion! 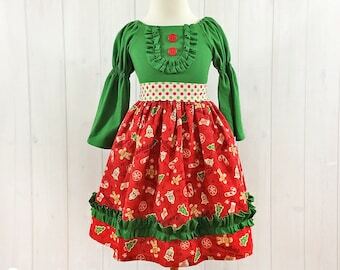 Pretty festive Christmas frock, perfect for holiday photos, Christmas parties, and opening gifts on Christmas morning! Are you tired of the same old designs seen in most children's retail clothing stores? Maybe you are looking for something that is truly unique and would make your daughter stand out from the crowd? Or maybe you'd rather dress your child in clothing that is comfy and made of natural fibers, but still pretty at the same time? If any of the above is true then you're at the right place! 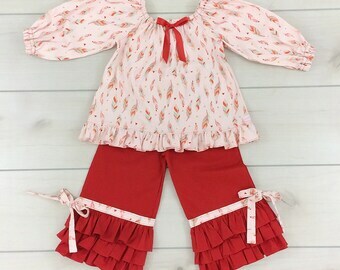 Sonata Elise™ Boutique is a children's apparel clothing line that offers high quality, handcrafted children's apparel just for babies and little girls. Remember the pretty frilly vintage dresses our great grandmothers used to dress our moms in? Weren't they as cute and as adorable as ever? We love that look and have incorporated many of those timeless looks into our designs. All of our apparel is made with your daughters comfort in mind and has been designed to grow with her. 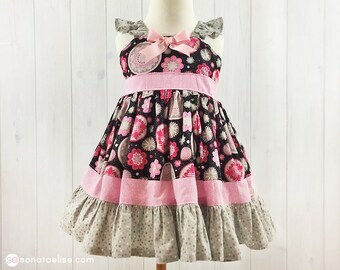 We can assure you that your little girl will feel beautiful and special when wearing a Sonata Elise™ design. 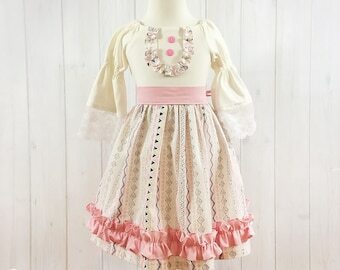 Every item offered is made with love and enjoyment just for you and your little princess! 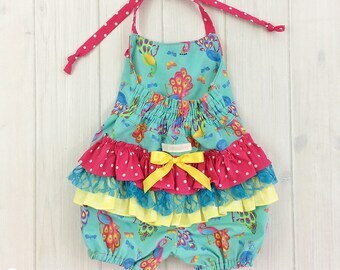 We hope to serve you by making something truly beautiful and unique just for your little one! If you have any questions or concerns please send us a message! My name is Samara and I love creating beautiful handmade clothing and accessories for little girls out of my in-home studio located in Ohio. I have my very own website at www.sonataeliseboutique.com as well as my shop here on Etsy! Daughter of Samara and model. She's the little girl that inspired it all! Another one of our beautiful models and daughter of our talented photographer! We may use your personal information in the following ways: To process your order and ship them to your destination. Provide and improve our customer service and support. Provide products that meet your needs. Contact you only with your permission. We can ensure you that we will never share or sell your private information with or to any third-party networks without your written consent. Sonata Elise™ commits to conducting our business in accordance with these principles in order to ensure that we protect and maintain the confidentiality of personal information. No refunds will be given for any hair accessory. Visit https://sonataelise.com/pages/how-to-measure-your-child for help with measuring your child. Size: 12-18M Chest: 19" Length: 13.5"
Size: 2T Chest: 21" Length: 15"
Size: 3T Chest: 21.5" Length: 16"
Size: 4T Chest: 22.5" Length: 17"
Size: 5T Chest: 23" Length: 18"
2T	Chest: 20" - 20.25" Waist: 20" Length: 14"
3T	Chest: 21.5"	21.5" Waist: 15" Length: 15"
4T	Chest: 22" - 22.5" Waist: 23 Length: 16"
5T	Chest: 23" - 23.25" Waist: 24" Length: 17"
6	Chest: 24" Waist: 26" Length: 18"
Will this be a gift? Allow us to gift wrap your item(s). * Length starts at child's armpit. Size: 12-18M Chest: 19-20" Length: 15.5"
Size: 2T Chest: 20-21" Length: 17.25"
Size: 3T Chest: 21-22" Length: 18.5"
Size: 4T Chest: 22-23" Length: 19.75"
Size: 5T Chest: 23-24" Length: 21"